My first visit to the Colorado wine region aka Grand Junction and the Palisades is not one I will soon, if ever forget. Albeit, I wouldn’t mind if I did. It was on this trip that I visited a handful of Colorado wineries and first sipped Colorado wine…and decided not to revisit Colorado wine (or the region) again. All that changed about 10 years later after a day of hiking in Evergreen, Colorado. On a hunt for the perfect patio to enjoy lunch, we headed to a local winery and cafe in the small, historic downtown. We had been told it had one of the best patios and, it did. We sat on the outdoor deck of Creekside Cellars which overhangs Bear Creek soaking up the sun. The kids were entertaining themselves by feeding the ducks; that alone made Creekside Cellars the perfect patio-lunch spot. But, it got even better when we sampled its wines – Cabernet Franc, Petit Verdot, Syrah and Rose. That afternoon Creekside Cellars wine literally changed how I viewed Colorado wines. Its wines opened my mind and my palate to exploring the Colorado wine region – again. Please note, if you’re visiting the Colorado wine region in Palisade, you won’t be able to stop in and taste Creekside Cellars wine. 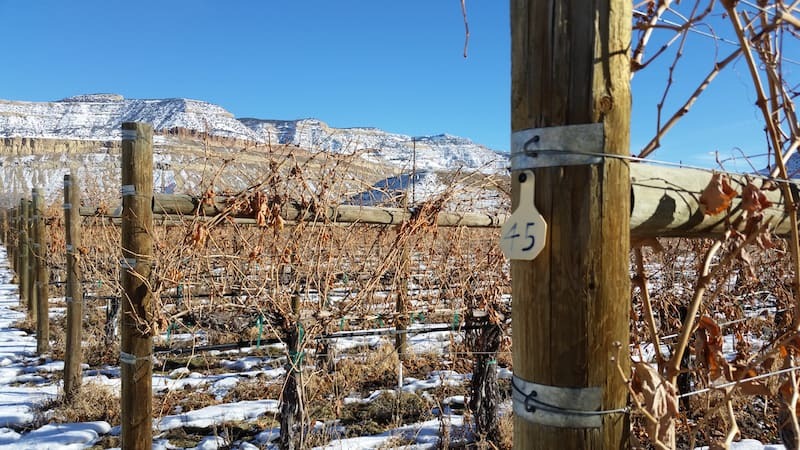 Its vineyard in Palisade – The Vinelands – is adjacent to the Colorado River in the Grand Valley A.V.A., but has no public facilities, aka no tasting room. 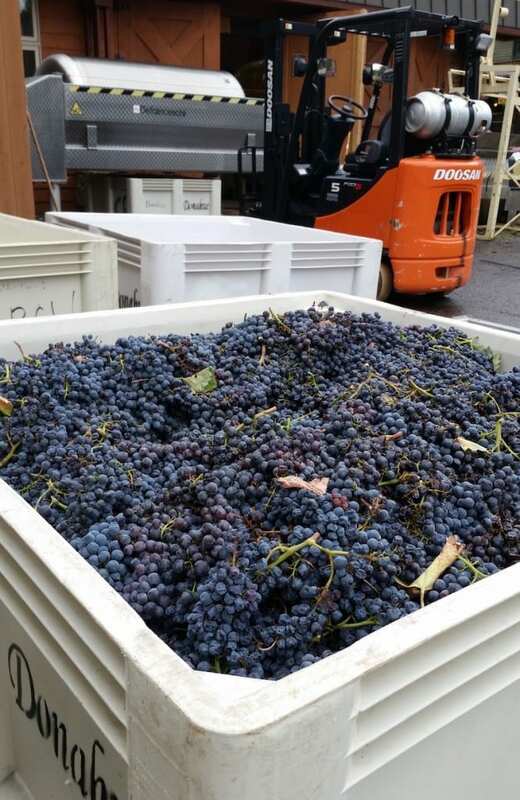 The fruit is harvested and trucked to its winery in Evergreen, CO where it is crushed, cellared and bottled for sale exclusively at Creekside Cellars. Growing up in a German family I was exposed to beautiful wine at a young age. Little did I know then, how my future would unfold. I moved to Denver, Colorado in 1994 and started exploring wine country. At the time I was working for Dazbog Coffee Company as their Director of Production & Distribution. 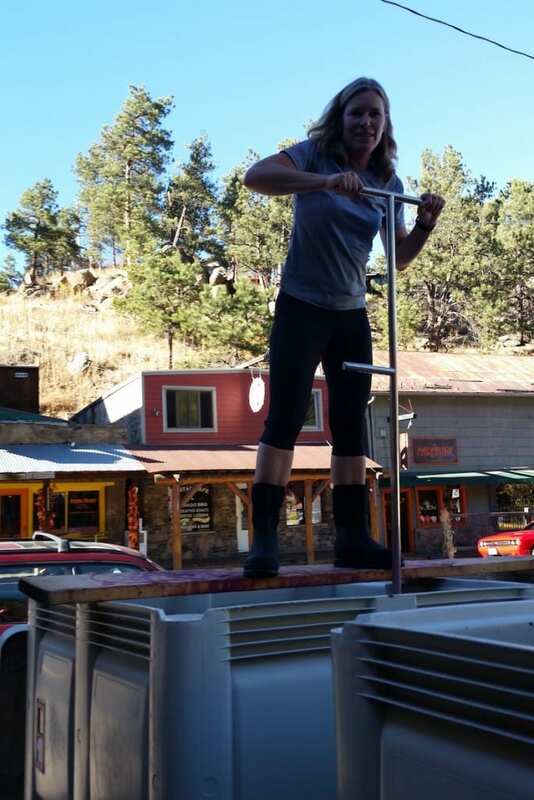 While attending the 2000 Palisade Wine Festival I was informed a winery was opening in the town of Evergreen. After a hike at one of the beautiful open spaces Evergreen has to offer I ventured over to Creekside Cellars for lunch and met the owner Bill Donahue. In 2005 I resigned from Dazbog and started working at Creekside Cellars as a volunteer. I also volunteered in the vineyard over in Palisade. After three months Bill welcomed me aboard and the journey began. My degree in Agriculture from The University of Illinois was another great fit. After I had one year of winemaking experience under my belt I enrolled in the Certificate of Enology & Viticulture program at UC Davis. 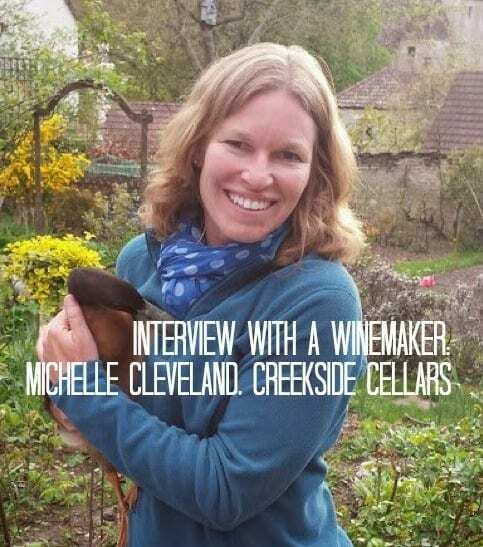 I finished in the program in 2007 and took over winemaking at Creekside Cellars at that time. How have you seen the wine industry in Colorado mature and how is it changing the perception of those who do not (or have not) considered Colorado to be a wine producing state? The wine industry has definitely changed since my introduction in 1994. I wouldn’t necessarily say it was immature. The industry has grown in number of wineries which translates into more talent involved not only in the winemaking side but the viticulture side as well. Time and consumer spending is the only way to measure changes in perception. If we look at the “eat local, drink local” movement happening all over the country one would suspect consumers to include all beverages. As I said earlier, time will tell. 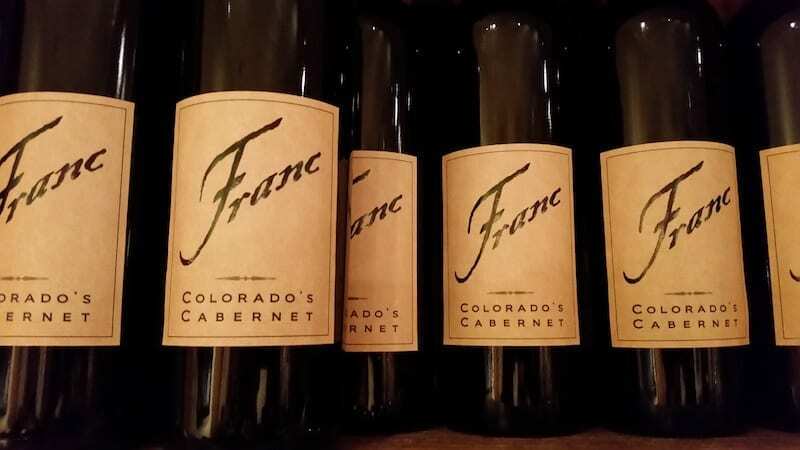 What do you think are the strengths and downfalls for Colorado wine? Are there varietals that grow better in Colorado than other regions? What are they and why do they grow better in Colorado? Based on my experience in the wine industry over the last 11 years there seems to be a few grape varietals that are able to rebound quicker from cold weather damage. Those grapes would include Cabernet Franc, Syrah, Petit Verdot and Malbec. The elevation of Colorado’s Grand Valley AVA plays a key role in grape production. Hot, dry days and cool nights make it ideal for growing grapes. Do these varieties grow better here than any other region? I would say no. These varieties grow well in our climate and soil. Writers always ask this question. My approach is probably the same as many other winemakers in the world. I work with the grapes I’m given (blessed with) and guide them along the journey into the bottle. I want the wine to stay true to it’s origin. I’m not making a “Napa Cab” or a white Burgundy. I’m making a Colorado Cab and Chardonnay. I want the wine to be an expression of the grapes origin. I compare the 2015 harvest to the 2008 and 2012 harvest. The winter cooperated as well as the early spring. Concentrated fruit due to smaller berry size is always a bonus. I believe the 2015 vintage will be one of my best vintages. I can’t wait to compare the finished product to the 2008 and 2012 vintages! It’s not necessarily a lesson it’s an understanding I came to realize this past April when I traveled to France. I made a connection to what so many people in the wine industry refer to as terroir. Hiking in Puligny-Montrachet after a rain shower was where I made that connection. I could close my eyes and smell the air and taste the wine in one breath. Pure and simple. That moment reinforced my winemaking philosophy. I have a winemaking friend from California who says, we are just shepherds. I think that sums up my philosophy in a nutshell. It doesn’t have to be difficult but sometimes we make it difficult. If people are wanting to learn more about wine I typically recommend the International Sommelier Guild. If someone is thinking of changing careers as I did then I would highly recommend the Enology & Viticulture Certificate Program at UC Davis. However, the best education lies in the bottle! Drink as many different wines as you are financially able to drink without becoming unhealthy of course. I always encourage people to try new varietals and regions. I would like people to recognize my wine as being a collaboration of viticulture and enology. Meaning both the grower and winemaker work hand-in-hand to produce a finished product true to it’s origin. I want to people to enjoy the wine drinking experience and not get caught up with all the technicalities associated with wine drinking. What would you suggest people pair with your wines that received the 2015 Colorado Governor’s Cup – the Petit Verdot and Cabernet Sauvignon? One characteristic that is fairly consistent throughout all my wine is acidity. I enjoy wines with a decent amount of acid because they work well with food. I love old world wines for the same reason. Both the Cabernet Sauvignon and Petit Verdot make the palate salivate and desire food. Of course everyone knows a nice steak, I prefer a ribeye, would pair well with the Cabernet Sauvignon. The Petit Verdot is one of my favorites as well as our customer’s favorite wines. This wine is so versatile with so many foods. I often recommend it in place of a white wine pairing. I want people to drink what they like and to not get intimidated by wine and food pairing. I actually drink more wine made by other winemaker’s than I do my own wines. I truly enjoy tasting other winemaker’s wines. It’s a true learning experience. If I had to pick a region or favorite varietal it would be Rhone varietals. So many varietals, so little time!